Today is the second anniversary of the worst oil spill in U.S. history. Here are links to two blog posts I did about the disaster in the Gulf of Mexico in 2010. Just last month I finally ate at a local seafood restaurant. I’m still not 100% certain of the safety of the gulf, but next month I’ll take my family to the beach–and let them play below the water line in the sand–for the first time in two years. 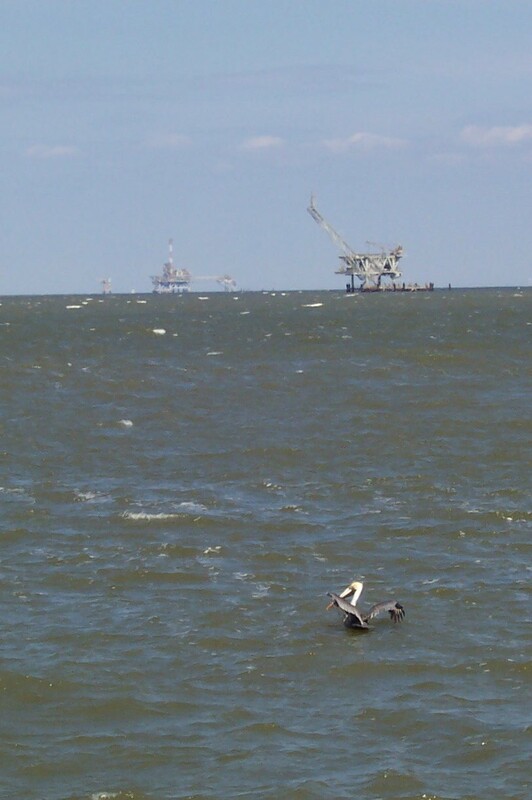 This entry was posted in Anxiety, beaches, birds, blog, blogging, BLOGS, children, CURRENT EVENTS, Dauphin Island, Deep Water Horizon, family, Gulf Coast, Gulf of Mexico, Lower Alabama, Mobile, NATURE, oil spill, Pensacola Beach, spring, summer, travel, wildlife by Carrie Dalby. Bookmark the permalink.